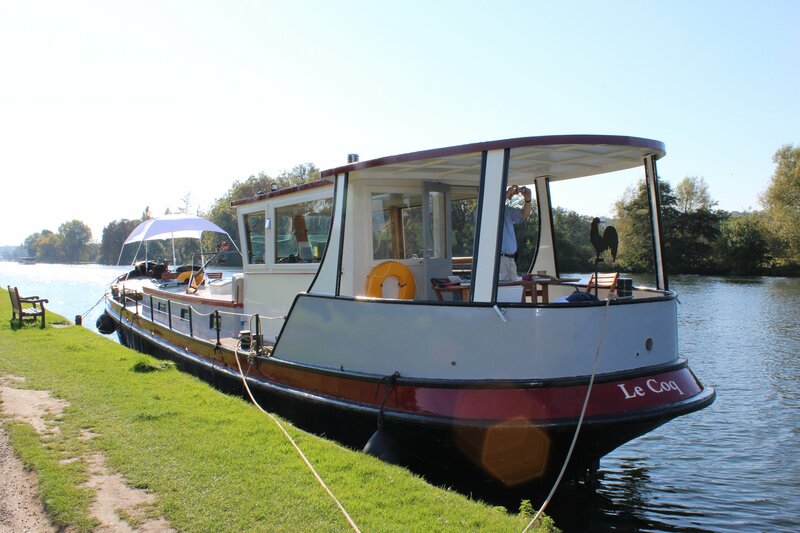 Our Dutch Barge "Le Coq" was built in 1926 and refurbished in 2009 to a very high standard. At 17metres long she easily accomodates the 8 artists we carry on each cruise. Fully equipped she provides comfortable space for painting outside on the fore deck, inside in the glazed wheelhouse and under cover in the stern deck. Lunch is servied below deck in the large kitchen / dining cabin where there is access to a modern cloakroom. If you have limited mobility please ring us to discuss your requirements.